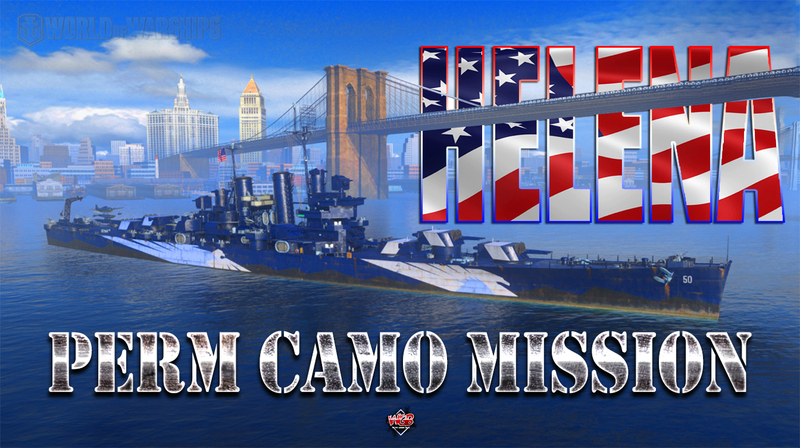 As you know, WG held a contest for you to come up with a new camouflage for the USS Helena – and it is ready. The aptly named “Remembrance Night” camouflage was created by Haleos and can be earned by completing our daily missions in September. If you participated in the contest you will get an extra set of exclusive missions to make your progress faster. For those that can’t get enough bonuses, WG have prepared 3 Daily Challenges aimed at completing a certain number of daily combat Chains per month. As a reward for completing the Easy or Normal Daily Challenges, you will get even more signals, and if you manage to complete the Hard mission with 20 Chains, you will earn a unique permanent camouflage—the contest winning camo for US cruiser Helena. If you already have the permanent camouflage for Helena, you will receive compensation in doubloons equal to its cost. Reward: 7 of each of the following signals: Equal Speed Charlie London, India Bravo Terrathree, Zulu, Papa Papa and Zulu Hotel. Reward: 10 of each of the following signals: Sierra Mike, November Foxtrot, November Echo Setteseven, Victor Lima and India X-Ray. -10% to the cost of ship's post-battle service. +50% experience earned in the battle.